this is so deep and is true lets challenge each other my brothers and sisters to do this in every kind of love relations this is!! unconditional deep deep love we ALL Naturally have. Bring it out Humanity!!! lets JUST do it!!! elizabeth Diamond Blessings of Love Peace & Joy Turning to BLISS!! to YOU Diamond. NEW!!! 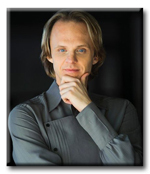 David Wilcock Update on World Changes and Consiousness Expanding. Take Back YOU!!!! 3omin world changes: "Forever Forward $/News Update", Special Guests, Building Relations with OUR Star Families, Learning "Who YOU Really are"
David Wilcock Update on World Changes and Consiousness Expanding. Take Back YOU!!! CLICK THIS LINK to Listen Astounding good News: http://rs3104.freeconferencecall.com:80/fcci/cgi-bin/play.mp3/36266124-229.mp3 this will down load lower LF of computer open to play. Come to Diamonds to Build your Relations with OUR STAR Families and More! !, they are coming on line live on Diamonds Show. The background to all this bluster is the fact that Washington D.C., the Pentagon’s current paymaster,failed to make a payment due to the rest of the world at the end of March (as mentioned in this newsletter last week). Now the corporate media and the US Treasury Department have confirmed the US has been pretending its debts have stopped increasing since March 15th. Confirmation of this can be seen at many levels now. As mentioned last week, the Vatican will be discussing this issue at a high level forum starting April 28th. Now Alcuin and Flutterby, a site believed to be linked to British Intelligence, has come out with a detailed essay explain how democracy in theUS was taken over by oligarchy and proposing meritocracy as a solution. Find OUt More About YouR SuperNatural Natural Self!!! !